Farewell, adieu, Papa..as you leave us this night, take heart, be cheered by the words of your friend, Rabbi Arthur Schneier and likewise from all of us…ADIEU!! 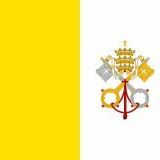 Pope Benedict XVI will step down today at 8 p.m. Rome time, the first Pope to do so since Pope Gregory XII resigned in 1415. 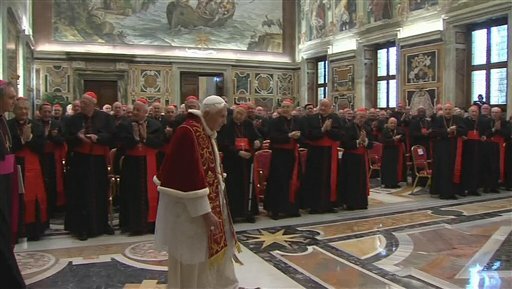 He will keep the name Benedict XVI and will be known as the Roman pontiff emeritus or pope emeritus. His papal ring will be destroyed. Benedict will live in a convent on the Vatican grounds for a life of prayer and meditation and has said he will be “hidden from the world” after he steps down. The crossed keys symbolize the keys of Simon Peter. The keys are gold and silver to represent the power of binding and loosing given to the Church. 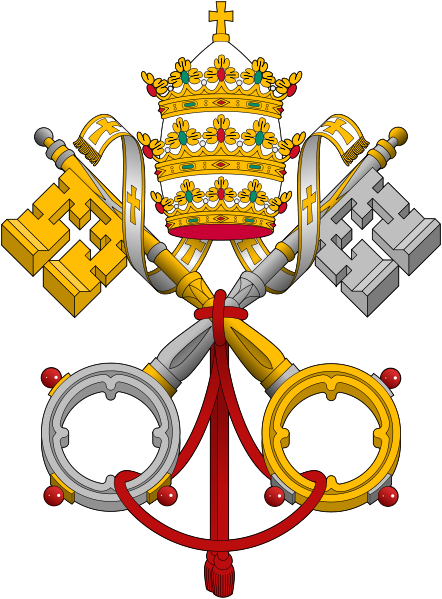 The triple crown, the tiara, represents the pope’s three functions as “supreme pastor”, “supreme teacher” and “supreme priest”. The gold cross surmounting the triple crowns symbolizes the crucifixion of Jesus. Farewell, adieu, Papa..as you leave us this night, be cheered by the words of your friend, Rabbi Schneier..likewise echoed by all of us…..ADIEU!!! On the eve of the Pope’s departure from the seat of St. Peter, global interfaith champion Rabbi Arthur Schneier, writes that the decision to step down from the papacy was a selfless act. He also predicts the Pope will make “a very significant contribution” to the Church and interfaith dialogue even in retirement. Schneier, who heads the Appeal of Conscience Foundation, an interreligious organization supporting religious tolerance, also relates that the retiring Pope, a personal friend, appeared “rather frail” when he last saw him in November in Rome. “I asked myself the question: Please God . . . how does he carry on with the awesome responsibilities he had?” Schneier recalls. The two made history together in April 2008, when Benedict visited Schneier at Park East Synagogue in New York City, marking the first time a Pope had visited a U.S. synagogue. Schneier serves as Park East’s chief rabbi. In February 2009, Schneier, who has led interfaith missions around the globe and has convened half a dozen international conferences to stem ethnic conflicts, attended a private audience with Pope Benedict at the Vatican. During that visit, the Pope reaffirmed the Nostra Aetate that the Vatican Council II adopted in opposition to anti-Semitism and religious intolerance. Schneier says he first met then-Cardinal Joseph Ratzinger when he was one of Pope John Paul II’s closest advisers. Pope Benedict succeeded Pope John Paul II as Bishop of Rome in April 2005. Whenever Schneier and the Pope would meet, they would converse in German, their common native tongue. The Pope was born in Bavaria, and Schneier, a Holocaust survivor who immigrated to the United States in 1947, hails from Vienna, Austria. Benedict’s departure from the papacy will mark the first time in nearly 600 years that a living Pope has resigned. Schneier, who was with the Pope when he made his historic visit to the Western Wall in Jerusalem in May 2009, says stepping down from such a high position is an act of selfless humility. The rabbi adds that he will miss seeing his friend lead the Catholic Church. But he predicted that Pope Benedict will continue to be a powerful force for good in the world. “God bless him and I pray that he may have health and long life,” says Schneier. “I’m sure that he’ll have the peace of mind and peace of heart to make many contributions. “Pope Benedict has great intellect, and is a very formidable, gifted writer. Unburdened from all the administrative duties, the travel and so forth, he’s going to continue to make a very significant contribution,” says Rabbi. Farewell, adieu, Papa..as you leave us this night, take heart, be cheered by the words of your friend, Rabbi Schneier and likewise from all of us…ADIEU!! Happy ones know God, unhappy ones, sad ones, do not know Him. This early morning, we ask: why would anyone choose to be unhappy, to be sad? 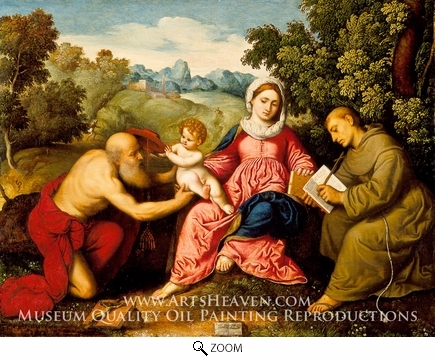 The Babe Himself pictured, in the arms of the Madonna, grew to be the Man Jesus Christ. Believe in Him or reject Him, He is, indubitably, the most influential Man in the history of this world, despite what certain Kings, Princes and even latter-day politicians, might be thinking. It was said often, and early, of His Followers “look at the Christians, how they love one another.” As love has to do with happiness, we all ought be mindful this morning that a man who holds tight to disbelief holds tight likewise to unhappiness. We ask, why would a man hold tight to unhappiness? That is–for what purpose–to what end? As to disbelief, I am disbelieving that anybody who is marginally reflective has not asked himself–“is there a connection between my being so unhappy and my disbelief in God, a Creator and an afterlife?” If one does not believe in those basic things, one is not happy–it simply is not possible. I have never met a happy non-believer. It is not a function of proving the existence of God, it is simply a function of a basic observation that Man needs God far more so than the other way about. God does not need us, we need Him. God fills a need in Man that Man cannot hope to satisfy anywhere else. I do suppose that many believers are hedged fund men in the sense that they realize that their belief or disbelief had better prove out when they die. That is–place your bets–the card of belief or the card of disbelief–but you’d best bet correctly. That is the one bet you do not want to lose. Hedged funds aside, God fills a need–we all know this–we also all know that the need He fills cannot be filled anywhere else, except in belief. In truth this is not a complex question. God’s existence is self-evident. His existence is, as the legal men say, res ipsa. I will say that the immense sadness, the all-pervasive sense of gloom that overhangs the world of our modern era is, to my mind, largely down to a rejection of belief in God. God fills a need in Man that cannot be met anywhere else. Since our egress from the Garden, no civilization–not one–has failed to recognize our connection to the supernatural. Until our own. I do not know what the sad, gloomy people of the modern world are connected to, after having registered their rejection of the supernatural and of God. Some will say God is now become science, others say He lives in political holy books, others find Him in computer machines and attending gadgetry, still others discover Him in mere craven materialism–and many others, likely many other, things. The point is, while they reject Him of Himself, they look for Him in worldly things because they know they need him. Very sad business that. Very sad. What makes our strange, sad time uniquely lamentable, is that a large number of the people both reject God and reject any need of a connection to the supernatural, in very proud and public way. I can say this categorically about that new condition of modern man: Such a lack of connection, such a rejection of God leads, demonstrably, indisputably, to a society of sad men. Sad men. Sad men who are proud of their new toys that replace God and the supernatural, notwithstanding that their toys make them so very sad. Proud, yet sad and unhappy men of science, today demand of me proof of God. I say, it is not for those who believe to prove to those who do not, the need for a God, or of His existence, it is rather for those who disbelieve to demonstrate that they are somehow happy in their unhappiness–their having rejected God and the supernatural. If modern men have hedged bets against belief in God, they have drawn a far tougher hand to play, in my book, than have those who have hedged for belief in God, men such as me. Best luck to them, the hedged disbelievers. They are going to need it. Both here, where they will be unhappy for maybe 100 years, and also, well–for what is called eternity–a rather long time to be sad. Exile on Main Street: Can the Americans win for losing in the financial madhouse in which we are all just tumblin’ dice?? To find out, you gotta roll me. 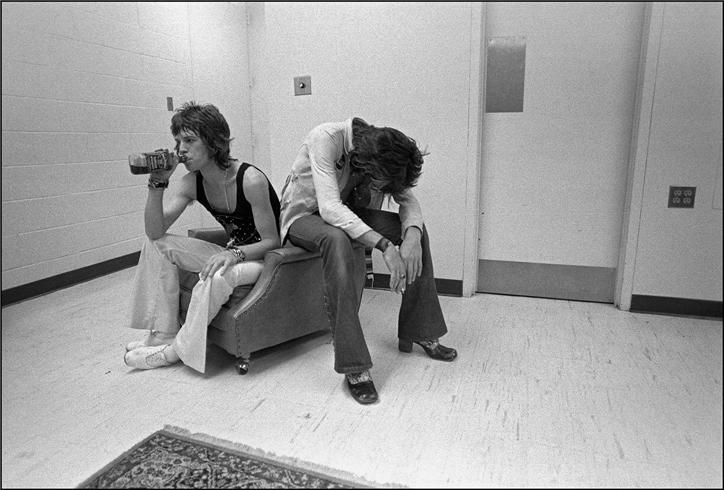 Mr. Michael Philip Jagger, shown left, and his sidekick, Mr. Keith Richards, at right, contemplate the perils of international high finance in America, whilst touring there, circa 1972. In 1972, the, then hopelessly young, Sir Michael Philip “Mick” Jagger (ne 26 July 1943, Dartford, Kent, England) OBE, an English musician, singer, songwriter and actor, best known as the lead vocalist and a founder member of The Rolling Stones, sang to us to “call me the tumblin’ dice—you gotta roll me.” Mr. Jagger’s precise meaning in 1972 when he sang us this tune was obscure, but I am sure that he would agree that the Americans are, today, as little more than tumblin’ dice, at Wall Street, in New York City, America’s very first capital city. As Mr. Jagger’s home of birth, Her Majesty’s Elizabeth’s England, is further on the road to fiscal ruin than is America, Mr. Jagger took from Her Majesty his Order of The British Empire, genuflected, and got the hell out of England, first to south of France and now, we are told, in late repose, to my dear Mother’s home of birth, north Italy—a sunny, temperate, clime to which any peer, lifetime or hereditary, of the Empire would be happy to repair and live out his waning days. My dear friend, Mr. Hedrick Smith, in his masterwork, Who Stole the American Dream, is doubtless correct that the mortgage de-leveraging bubble of the decade preceding the Great Panic of 2008 was caused principally by two factors: The decades-long stagnation of real dollar US wages and the conscious flirtation of an American banking industry set upon seducing the Americans to take second trusts and other suspect financial options to access capital, at cheap rates, because, absent any real hope of making money at their jobs, the equity in their homes was the only true liquidity most Americans possessed. Mr. Jefferson, as early as 1796, wrote to Mr. Madison that Mr. Hamilton and his cronies at New York, had turned “America into a giant gaming table on which the citizens are but cards and tumbling dice.” We ask: does anything ever really change as to the fundamentals of man’s folly? Perhaps, Mr. Jagger can sing us a sequel song. As we now know, a great number of Americans succumbed to the enticement of the bankers and those Americans will bitterly rue having bedded down with the bankers—a lament they will, doubtless, carry with them for the rest of their lives. A girl must be very careful of her reputation—most particularly around bankers–as these men can “talk real pretty,” as we used to say in the southland, but in the morning after, a girl is ruined for life. Both young Mr. Bush and his successor likely felt that given the fear engendered by the Panic of 2008, pouring money into Wall Street banks was the only way to save this land. Be that as it may, I am not alone in asking: what about Main Street? What about actual live citizens? Huge sums were disbursed in these bailouts, but none actually reached the Main Streets of America, which remain, at this late hour, in fiscal exile. Nor did the money reach the American people, the, by myself, presumed, intended end recipients of the bailouts. So Wall Street remains awash in cheap capital and, as the bailouts are given without stipulation as to use, Wall Street has done with the bailout money precisely what Wall Street is paid to do—seek out the best return on equity from the money at hand, notwithstanding that this particular money arrived gratis from the public till. Specifically, Wall Street was back in a flash to its old habits—back to Leveraged Buy Outs, LBOs, Mergers and Acquisitions, M&As, credit risk derivative swaps—those worth an entire separate page, or yet more, to come soon to this theater, free for your viewing pleasure–and, let us not forget, private equities. We ask: What about Main Street and the clients on Main Street—who tends to their needs as they languish in exile? We would appreciate an answer to this but none appears apparently fast forthcoming from Washington or Wall Street. In the East however, things are very different, for now anyway. We will shortly see here that the situation in the East is fast about to change—radically so. When I was first taught of money, I remember the premier adage whispered in my ears: “Johnnie, Johnnie, money always protects itself.” What this has meant as a practical matter for finance in the time since the Panic of 2008, and remains true as this is penned, is a massive flight of capital to the East, and more specifically to the BRIC nations–Brazil, Russia, India and China. God, we are told, is just. As He is just, America will turn around. She will come back. What will that mean for the nations who have benefited from our Great Panic of 2008—those who have provided safe haven for skittish money from the West seeking, as always, to protect itself? Let’s just say that when America comes roaring back, as she will; those nations are in for a bit of a jolt. Rather a large jolt, actually. So, we ask, is finance always zero sum—a scheme in which one must always lose for the other to win? We hope not, but then, there it is—all evidence suggests that finance is, in fact, a zero sum game. Follows now, some startling thoughts about what happens when America and the West return to normal—whatever that might mean to the reader. As the U.S. economy recovers, a strengthening dollar might cause the next financial crisis, warns Singapore-based economist Andy Xie. “The first dollar bull market in the 1980s triggered the Latin American debt crisis, the second the Asian Financial Crisis. Neither was a coincidence,” Xie writes for Caixin Online, a website specializing in China’s financial and business news. When the dollar is in a bear market, liquidity flows into emerging markets, causing their currencies and asset prices to appreciate, which supports domestic demand. “When the dollar changes direction, so does liquidity,” according to Xie, a former Morgan Stanley economist who predicted the economic bubbles like the 1997 Asian financial crisis and dot-com bubble. When the dollar’s value falls, dollar debt tends to rise in emerging markets, as the weak dollar lowers debt service and encourages over borrowing. But when the dollar reverses course and strengthens, the debt burden becomes unsustainable. The BRIC countries (Brazil, Russia, India and China) are bubbles ready to pop, he warns. The BRIC countries have seen inflows of foreign capital dissipate, and they are much like Southeast Asian countries just before the 1996 crisis. A wrong policy move could prompt a “full-blown financial crisis.” The right move for the BRICs is to raise interest rates to tighten money supply now. Emerging markets like the BRICs, fueled by hot money from abroad, are bubbles waiting to collapse, agrees Jesse Colombo, an independent analyst and trader. “Global investors, seeking to diversify away from the post-bubble heavily-indebted Western world, have inadvertently created a massive ‘hot-money’ bubble in emerging market nations, causing overheated economies and property bubbles everywhere from Brazil to Israel to the Philippines,” he writes in an article for Seeking Alpha. Can prosperity ever be universal? Is this too much to ask? Must one sector always lose for the other to win? By this we mean both here at home and abroad—is a universal prosperity a possible end? We pray yes, but we wonder here just how to reach that land of milk and honey flowing for all peoples. We don’t know. What we do very much know is that what we want here in America is a more equitable distribution of financial assets, specifically to include—and primarily so—Main Street and the live, sensate, Americans who actually live there, now in exile, as against Wall Street and Washington, places at which the Americans, who pay all the bills, do not reside and yet now very much have come to resent. “Hunney, I got no money..
..And, you cannot always satisfy your greed, hunney…. Do you remember wee youth…the streets we were not supposed to know about…the dark ended streets…the girls to whom we would slip away…hearts beating, blood racing? …Grown weary, and sorely so, of eggheads’ conversation on politics and how to save the nation, I think tonight of youth misspent and–very much–perhaps desperately so–missed now–now when it’s too late to do anything–too late to misspend her all over again. …The nation, I suppose can be saved. Oh, yes she can be. But who can save youth? Who can turn the clock back to a time when passion was really hot and things actually mattered so very much more so than they now ever could matter today? Who can do that–who can recover–youth–for me? …King’s ransoms buy crowns of gold, empires, silks, scarlet satins and flashy ornaments of colored stones but, from what vendor, down what street and for what price can I buy back youth–now that she is spent–now that she has flown? …Remember when you still had a pulse—one that worked—on its own—and you spent your nights going down streets you were not even supposed to know the names of……. ..To see girls who you absolutely were not supposed to know about? Well, do ya? Do ya? Maybe some of you do not. In fact, I know some of you do not. Maybe most. Poor dears. Poor devils. Poor wretches. What do you remember now that youth has fled us? ..today, this evening, remembering youth and it’s burning passions–that lead down streets I was not even supposed to know the names of–I ask–where did those days go–and why–do you remember those days? Some of my friends don’t remember–they never knew to forget–but I do–I do not forget youth–youth–wherefore art thou, most beauteous of friend–most virile and yet, most fragile of flower? Wherefore art thou now, in the cold numbness of greying, advancing, age with no dark streets to go down, no girl I was never supposed to know about to slip away with? Posted by Miss Ava Lavinia Gardner, Executive Assistant to Mr. Begg himself. Bishop Sheen’s extra gene. Was it to do with angels? Was it angels who guided his words? Listen and read here. Decide for yourself. Bishop’s little red book, and its derivative prime time television program, Life Is Worth Living, was an inspiration to millions in the 1950’s and can help us greatly now, in this, our societal hour of darkness, even more so today. As a speaker he was possessed of an elusive extra gene. Just what was Bishop Sheen’s extra gene? Bishop Sheen was a wonderful and very charming speaker–not at all the sort of man one typically conjures when one thinks of the Catholic clerics. I have heard every speaker of consequence of my day and Sheen ranks as the best in all categories upon which one could legitimately ever possibly judge a speaker: poise, message, charm, bearing, complete confidence, athletic movement, grace, ready smile always, complete grasp of his content and what he wanted to do with it, capable of making the most arcane of subject easily understandable, fearless to take brave positions and hang the consequences, and, above all else, radiant of love for his fellow-man. He also possessed that elusive extra gene that makes a truly great, soaring orator, rise far, far above the merely great speakers–that extra gene–a burning, and yes, Messianic, passion for his God, his country, his subject matter and for all mankind. 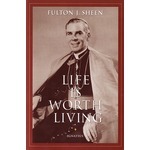 During the 1950s, Catholic clergyman Fulton Sheen (1895-1979) hosted Life is Worth Living, a popular television show for which he earned an Emmy Award, and on which he presented his views on religious topics, everyday life, and politics. One of the unlikeliest successful television personalities of the “Golden Age” in the 1950s was a Catholic clergyman named Fulton Sheen. He was on a small network with few affiliates as a throwaway program slotted against the hugely popular Milton Berle, but caught on and became one of the most popular figures in the country, even drawing admirers from among those who dislike Catholicism. While never really becoming a major figure in the hierarchy of the Catholic church, Sheen was one of its most visible members and an excellent ambassador for the church to the secular world. Peter John Sheen was born May 8, 1895 in El Paso, Illinois, the first of four sons born to Newton Morris Sheen and the former Delta Fulton. The child suffered from tuberculosis at an early age, and was often cared for by his mother’s family. They enrolled him in school as “a Fulton,” and that maiden name became his first name. It was a farming family, but Fulton knew early on he wanted a career in the priesthood. He attended parochial schools in Peoria, Illinois, and at St. Viator’s College in Kankakee, Illinois, then at St. Paul’s Seminary in Minnesota before becoming ordained in Peoria in 1919. Being a good student, Sheen was sent to the Catholic University of America in Washington, D.C., then to the University of Louvain in Belgium. He obtained his doctorate there in 1923, and received a degree in philosophie with highest honors in 1925 while studying in Paris and Rome. He was teaching theology at St. Edmund’s College in Ware, England, when he was called home to Peoria to take over his first parish. Eight months later he was transferred to a teacher of philosophy job at Catholic University. He drew attention to himself there through his total dedication to his work, neither smoking nor drinking, taking no holidays, enjoying no luxuries and giving away almost all his earnings. He rose quickly to the rank of full professor, and also was promoted to papal chamberlain, then domestic prelate and Bishop. In 1952 Milton Berle owned Tuesday night television with his 8 p.m. show, Texaco Star Theatre. The small DuMont network decided to put Sheen on the air opposite Berle as something of a sacrificial lamb, thinking a program with no potential may as well be on in a time slot with no chance. Life is Worth Living premiered on February 12, 1952, with the Bishop Fulton Sheen appearing in a long cassock, a gold cross and chain on his chest, a long purple cape and a skull cap, speaking from a set designed to look like a rectory study before an audience at the Adelphi Theatre in midtown Manhattan. The half-hour program consisted of a one-minute commercial for Admiral, followed by a 28-minute talk delivered without notes or teleprompter by the bishop, ended with a two-minute peroration and the sign-off “God love you,” followed by another one-minute commercial for Admiral. This formula proved to be a success. Eventually Sheen’s program was seen by 20 million viewers on 123 stations. His fame grew along with his audience, and one of the things he became known for was performing conversions to Catholicism of well-known people, including Fritz Kreisler, Heywood Broun, Clare Boothe Luce, Henry Ford II and Louis Budenz. He also attracted attention for his political views, and at various times drew heat from both conservatives and liberals. He supported the anti-communist Franco in the Spanish Civil War, while conceding the dictator’s fascism; he also defended corporal punishment in schools and spoke out against Freudian psychology. Following the reforms of Vatican II—which Sheen advised on mission problems—he spoke out against poverty and nuclear war, and alternately opposed and supported U.S. involvement in the Vietnam War. Throughout the ’50s and most of the ’60s, he also served as national director of the Society for the Propagation of the Faith, raising funds for missions around the world. In 1966 Sheen was named archbishop of Rochester, New York, amid speculation as to whether the church was trying to promote him or neutralize him. He continued the church’s reforms in that area, and was considered progressive in his policies. Questions were raised about his administrative practices, however, and he opted for early retirement in 1969, at the age of 74. He was named titular archbishop and moved to a small apartment in New York City. He underwent open heart surgery in July 1977, and was largely confined to his home until his death from heart disease in 1979. A Financial Depression can empty half the apartments on Park Avenue, in New York City, but it fails to touch the man who owns and tills a few acres of land. The farmer owns real wealth as distinguished from fictional wealth in the form of stocks and bonds. Productive land as a solid basis of economy has not been highly regarded by our modern acquisitive society, but its rediscovery is the condition of national peace. The Communists have been slightly more considerate in their propaganda than the Western world, inasmuch as they promise the break-up of large estates. But their emphasis is principally on the proletariat or the factory worker rather than on the peasant. Mao, the Communist former leader of the Chinese tyranny, was at one time under suspicion by the Kremlin because of his favoritism toward the farmers rather than the factory workers. The unrealistic attitude toward the productive landowner is due in large part to the industrial revolution with its stress on machinery. Even Marx, in his Communist Manifesto believed that “peasant property” would eventually vanish. “We do not need to do away with it. The evolution of industry has done and is daily doing away with it.” Whenever Marx had his eye on the ultimate destruction of anything through his iron socialism of confiscation, he said it would “devolve” into disappearance. He did this for marriage and religion as well as for the farmers’ property. Communism has no doctrine for the peasant except the confiscation of his land, for Communism, being a military and industrial ideology, cannot endure a population whose security is tied to the land rather than to the handouts of a totalitarian state. The liquidation of fifteen million kulaks, or farmers, in the beginning of the Soviet system was planned destructiveness of the individual freedom that belongs to ownership of land. Communism first promises the division of large estates, then taxes the tiller of the land to a point where he submits to collectivization so that in the end landlord ownership becomes state ownership and “the last state of the man is worse than the first.” The transfer of all land to the state and the turning of farmers into “statecroppers” from sharecroppers reduces them to the sub-proletariat class, or the hewers of wood and the drawers of water for the factory workers. Because even the Western world has given more social approval to the city worker than to the farmer, it has not seen the land as the potential for cracking Communist propaganda in its orbit countries. Instead of promising the enslaved people of Europe deep freezes, bigger automobiles, push button tuning, and electric light bulbs washed in distilled water, it might be well to promise the people the return of their own land and a return to the land. The vast majority of the Communist-tyrannized peoples are rural, and the Voice of America that promises them the blessings of an industrialized civilization will not appeal nearly as much as a pledge to restore them to their land. The factory worker with all his boasted “social security” is fundamentally insecure. He works on someone else’s property, uses someone else’s tools, produces increased purchasing power through becoming depersonalized in a mass movement, and in the end has nothing to pass on to his children. The man with a little bit of land is the stable element in society; he is his own boss, has the joy of seeing a seed planted by his own hands grow to fruit, and above all has that sanity and peace that come from being able to put his hands into God’s own earth. The specter of hunger haunts the earth, because there are not enough humans on land. Half the people now living have never eaten in their lives what we Americans call a “square meal.” An acre and a half of good ground yields enough to keep a person on a balanced diet, but nine tenths of the total land mass of the earth is still unused. A Man is free on the inside because he has a soul. This soul infused by God is the source of his rights. Because he is dependent on God, he is independent of an absolute state. But man must have some guarantee on the outside that he is free. That guarantee is property. To be able to call something his own is the external side of his internal freedom by which he calls his soul his own. Property thus becomes the economic guarantee of human freedom. Communism had to destroy private ownership of land before it could destroy human freedom. Democracy must work the other way around and sustain liberty by enabling as many citizens as possible to own land which they labor, as the guarantee against a totalitarian state. The farmer is not a survivor of the past; he is the token and promise of a better future. +Fulton J. Sheen D.D.,Ph.D., published in On Being Human: Reflections, On Life and Living, Fulton J. Sheen, New York: Doubleday & Co., 1982, pg 142-4. In Public Domain under ‘Bishop Sheen Writes’. + Venerable, Fulton J. Sheen, Milwaukee Sentinel 1968. “Mr. Carlisle said in 1878 that this was a struggle between the idle holders of idle capital and the struggling masses who produce the wealth and pay the taxes of the country; and my friends, it is simply a question that we shall decide upon which side shall the Democratic Party fight. Upon the side of the idle holders of idle capital, or upon the side of the struggling masses? That is the question that the party must answer first; and then it must be answered by each individual hereafter. The sympathies of the Democratic Party, as described by the platform, are on the side of the struggling masses, who have ever been the foundation of the Democratic Party. There are two ideas of government. There are those who believe that if you just legislate to make the well-to-do prosperous, that their prosperity will leak through on those below [trickle-down]. The Democratic idea has been that if you legislate to make the masses prosperous their prosperity will find its way up and through every class that rests upon it. — Fulton J. Sheen, 1952, Silver Jubilee of Rev. Thomas J. Toolen. The American Dream And Nightmare. The Fulton Sheen twist: Is Man Dead? or Is God Dead ? America, contempt of Good Conscience? “Just for Kicks” – The loss of a moral standard. Let us raise a standard of Moral Conviction. A time will come, . . .
Why is July 4th sacred? A Better Concept of Freedom – Freedom in Danger! This Nation’s greatest Political and Economic ‘Deficit’. New Slavery, not so new. Nowadays, we make them leaders. Today, Bishop has given us all much food for thought. Kindly attend to him carefully. Profound sadness results of not knowing the difference between mankind himself and his material things. Modern life is any number of things, mostly horrible things, but what increasingly strikes me is that the most apt description of modern life is its profound sadness. Its emptiness. Its coldness. Sterility. Our little picture today suggests a possible reason. 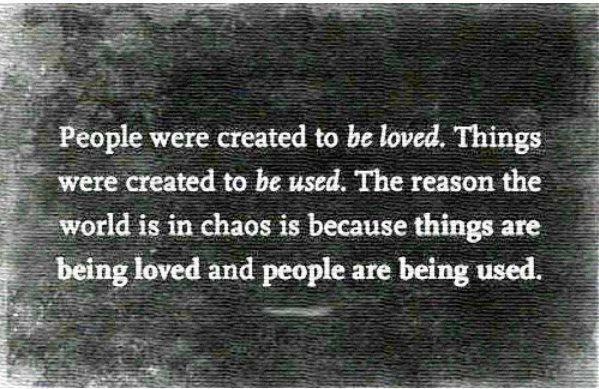 That reason is that Man confuses that he is supposed to use material things and that man himself is supposed to be loved. Somehow, today, that equation is, more and more quickly, getting reversed. Turned upside down. Flipped over. Above, our Miss Lina Goldberg is to be thanked by all here for having provided us with such a pretty picture of the beach at Koh Rong Island, off the coast of Cambodia. Such a pretty place in its marvelous isolation. Pristine. Tranquil. Perfection. Small wonder we say, that posting here in Cambodia, in Vietnam, in Laos, in all the Indochine, under Imperial France, was a luxury posting. Small wonder that Koh Long is a luxury resort now, yet again, after all the wars. One would have to say one loved it. But one would be wrong-headed to say that. One ought instead to say one wants to make best use of it. Behind Miss Goldberg’s lens, behind her picture of peace, there is a forest of tears. In that forest live the most destitute of God’s Children. Bereft of even meager human comfort, they live in terrible poverty, disease, hopelessness and despair. They are alone. Frightened. Unwanted. 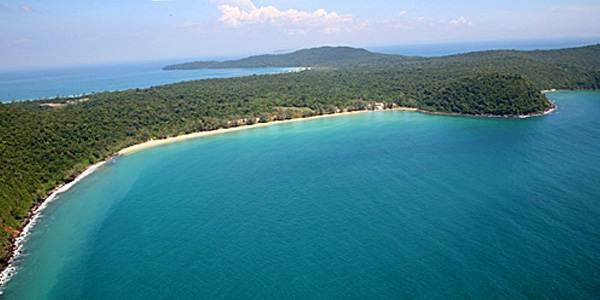 Invisible to those who seek to love the serene beauty of Koh Rong beach. Forgotten ones. Never known ones. They cry out to us at our beach of love and ask that we love them. Do we hear them? See them? Comfort them? Love them? Nay, we love the beach. At Koh Rong, on the shore, in Cambodia, there is beauty and there is helplessness. These two, unrelated neighbors, live directly beside one another. One is for the proper using, the beach, the other for the tender loving, the helpless children. Our love of Miss Goldberg’s pretty beach and the cries of the ones who have no one to love them, send errant messages to the modern mind that result in our most profound sadness. How can anyone possibly question the existence of God Jesus? Ava Lavinia Gardner (December 24, 1922 – January 25, 1990). How can anyone possibly question the existence of God Jesus? A defense of Him and of the beauty of His Creation follows now in brief. We have heard far well enough, in the press and on the television, far more than enough of the case for the prosecution that man is become, in man’s feckless, raging and boisterous vanity, man, made God Himself, and that men such as I who hold that God alone rules in heaven and on earth and creates all beauty, are simply antediluvian, antique, out-of-date and heretical and, worse still, a dangerous alien threat in the new secular order of things called by man, his progressive modernity. Now, then, is the turn of the defense for God and His Creations and of His Kingdom of hereafter. I now appear in this open court of mortal man, unlettered in formal Law, to appear pro se in the case for the defense of the existence of God and His named creations. 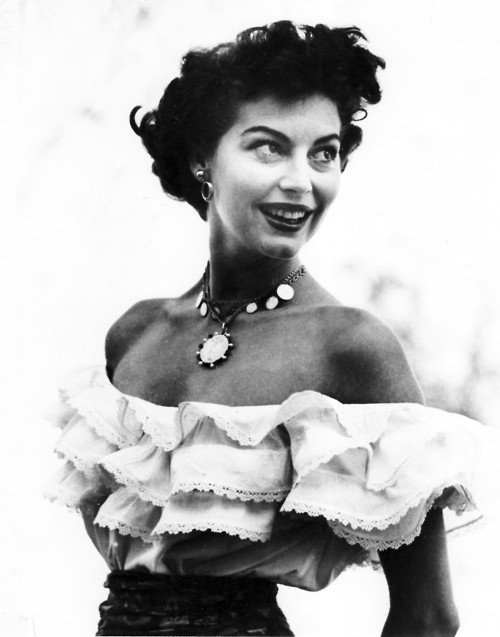 I present to the court but one exhibit: one Miss Ava Lavinia Gardner, shown at caption. I offer as evidence, case prima facie, and though there be blind, sightless ones, present in the court, a beauty that the blind themselves can see: Miss Ava Gardner. I offer that Miss Ava Gardner is proof irrefutable and self-manifest of the existence of a Supreme God. I offer that Ava Gardner in the flesh represents my case, res ipsa, that God created for His Children Beauty on earth incomprehensible. I offer as case irrefutable the evidence of the Life Hereafter with Him in His New Garden Eden: Miss Ava Gardner. Having presented this case in the defense of the certain existence of God, of His Gifts of Beauty irrefutable, of His certain Afterlife in His New Garden, Eden, filled solely there with wondrous beauty and happiness, I stand sanguine of victory in the court of The Church and of the public. I now rest. Surrounded by God’s Beauty, I await the disposition of this, my case for the defense, in the happy knowledge that I walk in Beauty and that I am not alone. Knowing that I defend a just cause, I await the jury with my co-counsel, Ava Lavinia. 4 When the blue wave rolls nightly on deep Galilee. 8 That host on the morrow lay withered and strown. 12 And their hearts but once heaved, and for ever grew still! 16 And cold as the spray of the rock-beating surf. 20 The lances unlifted, the trumpet unblown. 24 Hath melted like snow in the glance of the Lord! Lord Byron’s poem describes a battle in which King Sennacherib unsuccessfully attempts to capture Jerusalem, that Holy City saved from Sennacherib by the Angel Of Death, sent by God Himself, to protect Jerusalem. The poem is divided in six stanzas with four lines in each one. The rhyme is aabb. The first stanza presents us not a usual Asyrian but a special one, as we can read in the very first words in the poem: “the Asyrian”, where this character is emphasized by the article “the”. The presentation of that man comes highlighted by shining adjectives as gleaming (line 2), gold (l. 2), sheen (l. 3) and stars (l. 3), which evokes the nobility and richness of that man and the clothes used by his soldiers. All these lines tell the reader that the soldiers are prepared for the battle, and the author prepares the reader psychologically for the battle too. The Asyrian is surrounded by his cohorts because he is the principal character in which this stanza is focused. The wolf in the first verse indicates the personality or the present state of the Asyrian, who comes furious to the setting. This is also a metaphor which tells the reader that the devastation was quick and very destructive. In the second stanza Byron makes, from my point of view, a comparison between how we find the landscape before and after the passing of the Asyrian. Before he comes we find a land full of enemies as trees full of leaves at Summer, and after he has passed through the enemies we find a land as trees are in Autumn, without leaves. That is to say, without enemies. This is a great metaphor used by Byron: leaves are the soldiers. We can constantly find nature in these two stanzas, we can see some examples in: wolf (l. 1), stars (l. 3), sea (l. 3), wave (l. 4), leaves (l. 5), forest (l. 5), Summer (l. 5), Autumn (l. 7). 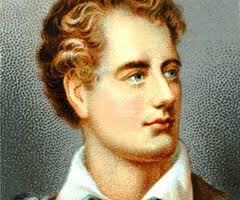 From my point of view Byron uses nature to explain feelings and uses it also to make things more understandable. In lines 9 and 10 he describes how the Asyrian fights. He is a brilliant soldier and he kills everyone who passes by his side, as if he were an “angel of death” (l. 9). He also is described as spreading his wings on the blast in line 9, so he is a beast, a monster for the enemies to fight him and he has no mercy. The eyes of the people he kills are waxed, so the eyes and the faces of the dead are white or uncolored. Lines 11 and 12 describes the fear felt by the enemies when the Asyrian was fighting. In the fourth stanza Byron describes the defeat of the enemies’ horses and how the animals lay as the riders do, as a sign of defeat and humiliation in front of the victorious people. With this horse laid in the field Byron represents the image of the defeat of the enemies. It is the description of the landscape after the cruel battle. In line 16 the poet uses again a natural phenomenon to compare what he is describing: “cold as the spray of the rock-beating surf”. All of the fifth stanza evokes defeat’s symbols as the oxide in the mails of the riders, the empty tents, the silence and the lances in the ground, clear signs of death and suffered damages. Also the rider of the dead horse mentioned before he appears, and he is also dead: “distorted and pale”. With all these images we, as readers, can imagine how the field is after the battle and the desolate ground that battle leaves when it is finished. The last stanza also makes reference to the defeated people. Now it is the widows who are shouting because of the death of their husbands. Last line, where the poet again uses a natural phenomenon, snow, it means that everybody follows the same path: death. As a conclusion we might say that Byron uses an adequate language to provide the reader with all the adjectives that describe the passing of battles. In the end nothing remains but silence and death. Sennacherib, whose name (Sin-ahhe-criba) means ‘the god Sin has replaced the brothers’, came to the throne of Assyria in 704 BC. The new king shifted the capital from Dur-Sharrukin (modern Khorsabad) to the ancient city of Nineveh, which he rebuilt in unparalleled splendour. This great palace, which Sennacherib describes in his inscriptions as ‘without rival’, is known today as the South-West Palace. Many rooms were decorated with alabaster wall reliefs. Sennacherib was mainly preoccupied with trying to resolve the political situation in Babylonia, a region that had only recently been retaken by his father Sargon II. Sennacherib’s main opponent was a local leader called Marduk-apla-iddina II (the biblical Merodach-baladan) who was supported by Elam. From 703-689 BC Sennacherib fought to control south Mesopotamia until finally, after a fifteen-month siege, the city of Babylon was captured and sacked. In 701 BC Sennacherib sacked the city of Lachish in Judah but failed to take the capital Jerusalem. His other campaigns in the southern Levant, Anatolia, and in the Syrian desert against the Arabs, were concerned with frontier security. In 681 BC Sennacherib was assassinated by two of his sons while he prayed in a temple. He was succeeded by another son, Esarhaddon. It is simply not possible to understand the Empires of our modern-day, without some modicum of understanding of the Empires that came before our own. 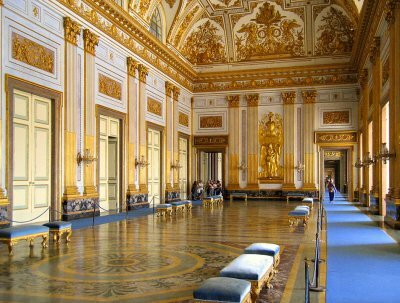 An Imperial seat of supreme significance in antiquity was Babylon. Ancient Babylon was a vastly important Middle Eastern city in both a world historical and biblical context. The city’s ruins are located about 55 mi (89 km) south of Baghdad, near the modern city of Al-Hillah, Iraq. Babylon was one of the most famous cities in antiquity. Probably first settled in the 3rd millennium BC, it came under the rule of the Amorite kings around 2000 BC. It became the capital of Babylonia and was the chief commercial city of the Tigris and Euphrates river system. Destroyed by Sennacherib in 689 BC, it was later rebuilt. It attained its greatest glory as capital of the Neo-Babylonian empire under Nebuchadrezzar II (r. 605–c. 561 BC). Alexander the Great, who took the city in 331 BC, died there. Evidence of its topography comes from excavations, cuneiform texts, and descriptions by the Greek historian Herodotus. Most of the ruins are from the city built by Nebuchadrezzar. The largest city in the world at the time, it contained many temples, including the great temple of Marduk with its associated ziggurat, which was apparently the basis for the story of the Tower of Babel. The Hanging Gardens, a simulated hill of vegetation-clad terracing, was one of the Seven Wonders of the World. Babylon was the most famous city of ancient Mesopotamia. Until today the city is a symbol for wealth, power, and likewise sin and idleness largely due to its treatment in the Bible, which describes the city as depraved beyond all measure. The name Babylon is the Greek form of Babel of Babili, which means “the gate of the god” in Semitic, which again is the translation of the original Sumerian name Ka-dimirra. The god was probably Marduk, the divine patron of the city. Like the other great Sanctuaries of Babylonia, the temple of Marduk had been founded in pre-Semitic times and the future Babylon grew around it. As Marduk was the son of Ea, the patron god of Eridu, it is possible that Babylon was a colony of Eridu. The earliest mention of Babylon is in a dated tablet of the reign of Sargon of Akkad (3800 BC), who is stated to have built sanctuaries there. 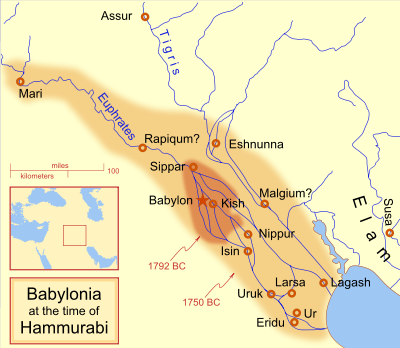 Babylon remained a provincial town until it became the capital of the first dynasty of Babylon and then Hammurabi‘s empire, around 2250 BC. From this time onward it continued to be the capital of Babylonia and the holy city of western Asia. The claim to supremacy in Mesopotamia was not fulfilled de jure until the claimant had “taken the hands” of Marduk at Babylon. It was this which made Tiglath-pileser III (ruled 745-727 BC) and other Assyrian kings so anxious to possess themselves of Babylon and to thus legitimize their power. Only Sennacherib of Assyria (reigned 704-681 BC) failed to secure the support of the Babylonian priesthood, and subsequently razed the city in 689 BC. This act shocked the religious conscience of western Asia, and Sennacherib was subsequently assassinated. His successor hastened to rebuild the city. With the recovery of Babylonian independence under Nabopolassar (reigned the Neo-Babylonian Empire 625-605 BC) a new era of architectural activity set in, and his son Nebuchadrezzar II (reign 605-562 BC) made Babylon one of the wonders of the Ancient World. It surrendered without a struggle to Cyrus I of Persia (reign c. 600-580 BC), but the monotheistic rule of Persia allowed the temples to fall into decay. Indeed part of the temple of E-Saggila, which like other ancient temples served as a fortress, was intentionally pulled down and the holy statue of Marduk was destroyed by Xerxes I after his capture of the city (484 BC). Alexander the Great (356-323 BC) was murdered in the palace of Nebuchadrezzar, which must therefore have been still standing, and cuneiform texts show that even under the Seleucids, E-Saggila was not wholly a ruin. With the death of Alexander the history of Babylon comes practically to an end, as the newly founded city of Ctesiphon became the most prominent city in Mesopotamia. The Biblical account of Sennacherib’s siege of Jerusalem begins with the destruction of the Northern Kingdom of Israel and its capital Samaria. According to the Hebrew Bible, the ten northern tribes came to be known as the Ten Lost Tribes, because as recorded in II Kings 17, they were carried off and settled with other peoples as was the Assyrian policy. II Kings 18-19 (and parallel passage II Chronicles 32:1-23) details Sennacherib’s attack on Judah and capital Jerusalem. Hezekiah had rebelled against the Assyrians, so they had captured all of the towns in Judah. Hezekiah realized his error and sent great tribute to Sennacherib. But the Assyrians nevertheless marched toward Jerusalem. Sennacherib sent his supreme commander with an army to besiege Jerusalem while he himself went to fight with the Egyptians. The supreme commander met with Hezekiah’s officials and threatened them to surrender; while hailing insults so the people of the city could hear, blaspheming Judah and particularly Jehovah. When the King Hezekiah heard of this, he tore his clothes (as was the custom of the day for displaying deep anguish) and prayed to Jehovah in the Temple. Isaiah the prophet told the king that Jehovah would take care of the whole matter and that he would return to his own lands. That night, the Angel of Jehovah killed 185,000 Assyrian troops. Jewish tradition maintains that the angel Gabriel (along with Michael in the Targum‘s version) was the angel sent to destroy the Assyrian troops, and that the destruction occurred on Passover night. Sennacherib soon returned to Nineveh in disgrace. Some years later, while Sennacherib was worshiping in the temple of his god Nisroch, two of his sons killed him and fled to Armenia. Psalm 46 was composed as a Song of Deliverance that was led by the Korahite Levitical singers and accompanied by the Alamoth, maidens with tambourines, and sung by the inhabitants of Jerusalem after their successful defense of the city from the siege. All of this background overview, from history and the Holy Scriptures, is a necessary building block to understand how we came to be what we are today. Moreover, for our purposes directly here today, it demonstrates to us how a simple, dramatic and enduring poem such as Lord Byron’s, THE DESTRUCTION OF SENNACHERIB, was inspired. Enjoy our great poem. In our pleasure, we are likewise mindful of the colorful history that made it possible.